In this recipe, cacao powder is mixed with dates, almonds and organic virgin coconut oil to make these bite sized, guilt free dessert to enjoy after meals or as a healthy snack. 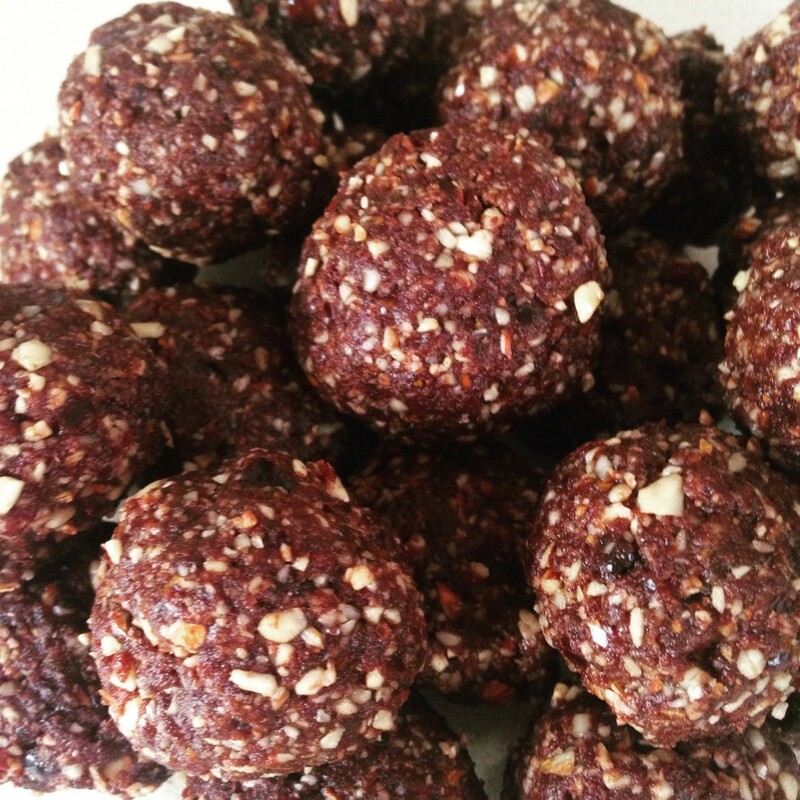 These delicious date, almond and cacao balls have literally murdered my chocolate indulgences after meals and I now make a fresh batch weekly to power me through. Soak the dates for a few minutes in a bit of hot water to soften. Mix the almonds, cacao and coconut oil in a food processor until smooth. Add in the dates along with a tablespoon of the water they were soaking in and blend well. Let mixture sit in the fridge for 15 minutes. Take out and start rolling into bite sized balls. Store in the fridge and enjoy the guilt-free treat(s) as and when the craving strikes! They are addictive.